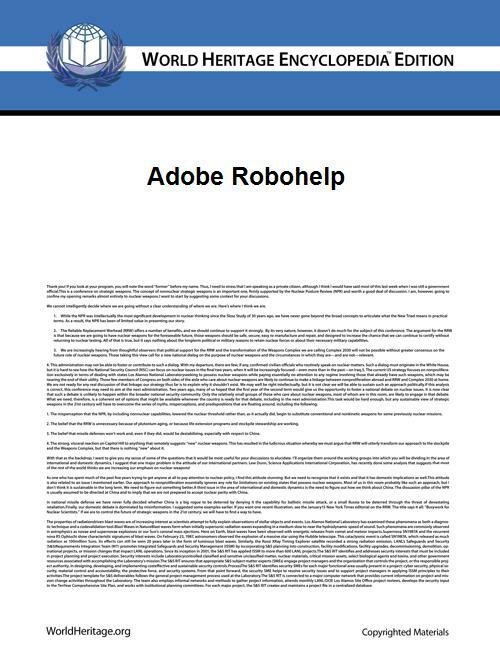 RoboHelp is a help authoring tool (HAT) created circa 1991 by Gen Kiyooka of Blue Sky Software for the Microsoft Windows operating system. Blue Sky Software reformed as eHelp Corporation, then entered a merger agreement with Macromedia in October 2003. Macromedia was, in turn, acquired by Adobe Systems in December 2005. 1.0 1991 First general availability release. Developed by Gen Kiyooka of Blue Sky Software. 5.0 ? Marketed by eHelp Corporation—and, later, Macromedia—as RoboHelp X5 Office. This was the current version of the program when Adobe completed its acquisition of Macromedia on 3 December 2005.